LOVE POM POMS???? 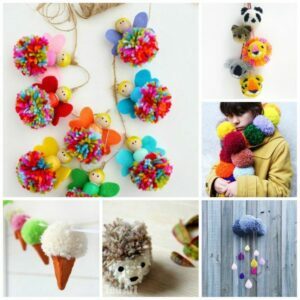 Well.. we are Pom Pom DIY Ideas MAD here at Red Ted Art, my daughter was given a Pom Pom Making Kit last year (for those interested – US/ UK*) and she keeps making all these lovely little creatures. 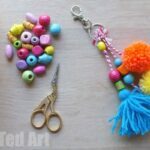 I thought it was time for me to share another Pom Pom Making Tutorial with you today. 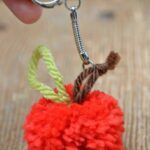 Today it is a Pom Pom FOX DIY for Autumn. We love Foxes – so cute and such pretty colours – a perfect Autumn Accessory for all. 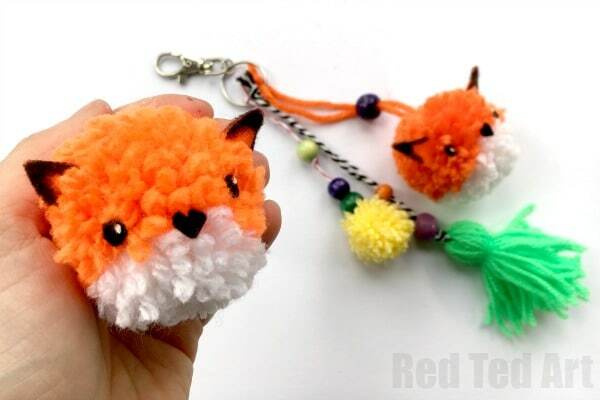 You can also turn the fox pom pom into a backpack charm (are your kids into this big Fluffy Pom Pom charms (check them out here US/ UK*) too? 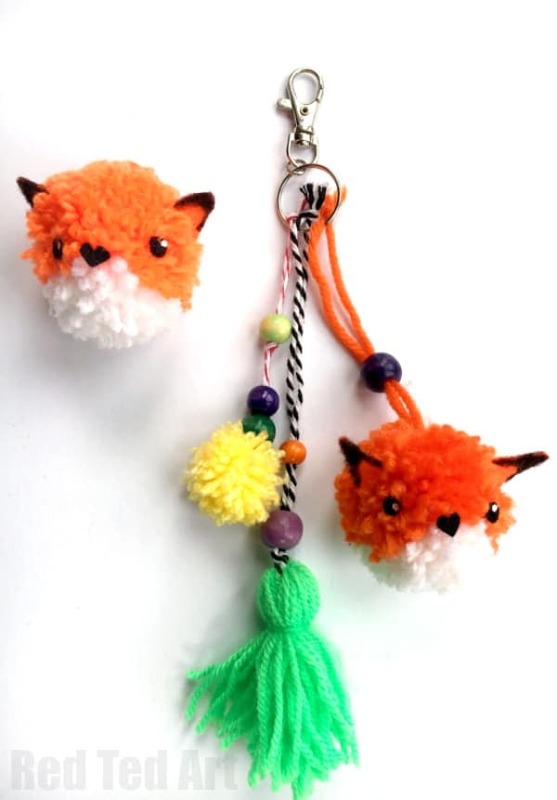 Nevermind buying those… make your own fabulous and unique pom pom fox diy charm! 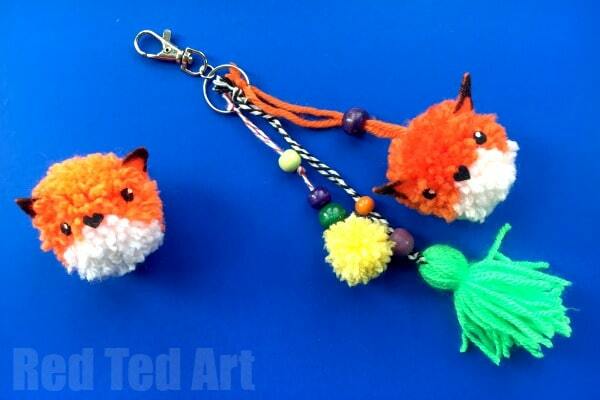 These Pom Pom Charms, would also look AMAZING with our super duper CUTE Pom Pom Hedgehog! First published in Octoer 2017 and updated for your convenience! Please not affiliate links added for convenience and may earn me a small comission helping with the upkeep of the site. 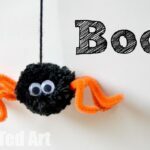 a mini pom pom (just for fun and to mix things up a bit), I actually made the mini pom pom with my fingers, but this how to make a pom pom with a fork method would be just right for it too. 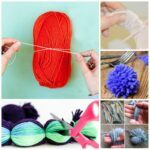 JUST REMEMBER: to tie off your pom pom with some strong bakers twine! 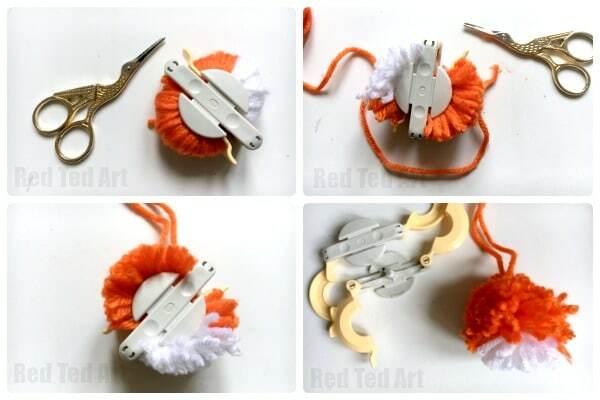 And now to the super duper CUTE bit.. how to make a Fox Pom Pom!!!! Yay. 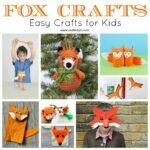 I have a great Fox Pom Pom How To video.. but also some step by step instructions below!!! 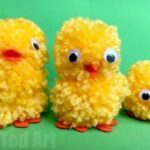 Now wrap the remaining 2/3s of your pom pom in orange. 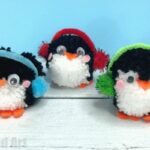 If you are using a pom pom maker, be sure to get it into all the corners too. 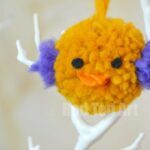 And your little DIY Pom Pom Fox for Autumn is FINISHED. Now to turn it into a charm.. all you need to do is add some colourful beads and knot it onto your Keyring!